The PC series air compressor oil is recommended for use in rotary screw, rotary vane, reciprocating and other compressor applications. The PC series air compressor oils are compatible with PAO, ester- and petroleum-based compressor oils. AMSOIL PC Synthetic Compressor Oils have low friction properties and resist viscosity increase from oxidation. 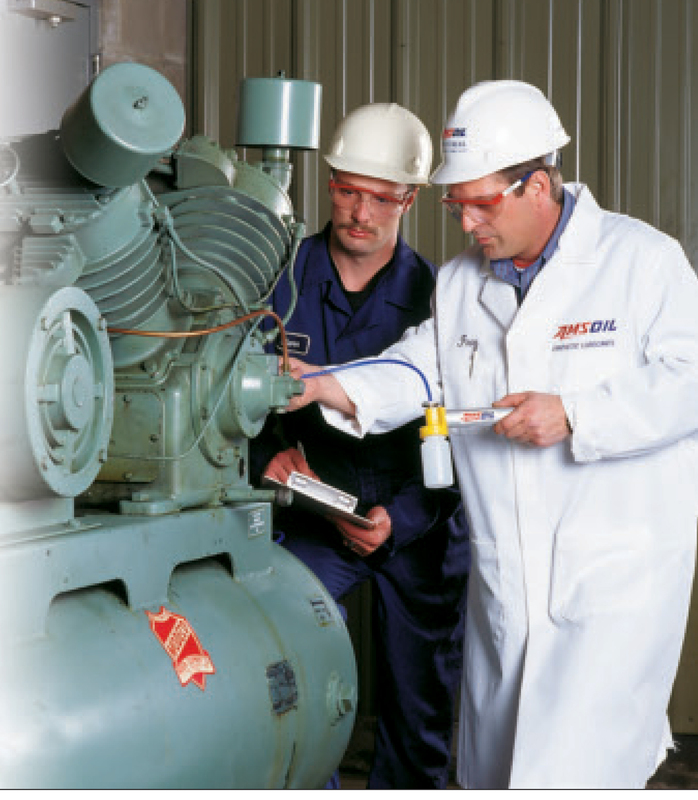 They help lower operating cost by decreasing electrical energy consumption, lowering maintenance costs and decreasing waste oil disposal costs.The PC series compressor oils have a very low volatility and because of this they outperform OEM lubricants.They are not compatible with glycol- or silicone-based compressor oils. Select the correct weight for your applicaton from the list below. Synthetic Compressor Oil SEI ISO32/46 SEI replaces Sullair Sullube 32, Ingersol-Rand SSR Ultra Coolant replacement. SEI is recommended as a direct replacement for PAG compressor oils such as Sullair Sullube 32 and Ingersol-Rand SSR Ultra Coolant. Not recommended for use with Silicone base fluids. Consult AMSOIL for further information.